"Go Gentle Into That Good Night": As a general rule on RogerEbert.com, we don't self-promote our work in the Thumbnail section. However, today I am breaking that rule. You may have read this blog entry from Roger when he first published it in 2009. I ask you to read it again this weekend, as it may very well be the most beautiful and profound piece of prose he has ever produced. "I believe that if, at the end of it all, according to our abilities, we have done something to make others a little happier, and something to make ourselves a little happier, that is about the best we can do. To make others less happy is a crime. To make ourselves unhappy is where all crime starts. We must try to contribute joy to the world. That is true no matter what our problems, our health, our circumstances. We must try. I didn't always know this, and am happy I lived long enough to find it out." "The Secret Life of Kermit the Frog": RogerEbert.com contributor Simon Abrams pens a lovely piece on the clandestine life of Kermit the Frog at Esquire. "It's easy to forget how integral Kermit the frog is to the Muppets. As the group's manager, he's worked at making The Muppet Show a success for the past 50 years. 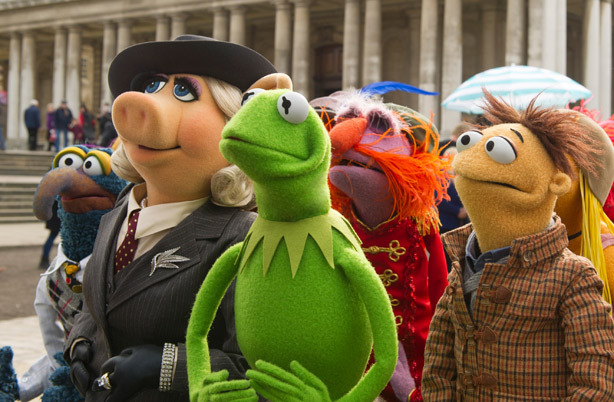 It's hard work, but Kermit's contributions have finally been recognized in the Muppets' new movie, Muppets Most Wanted, out this Friday. In the film, Kermit, playing himself, is kidnapped by criminal mastermind Constantine (also Kermit), and imprisoned in a Russian Gulag run by Tina Fey's evil warden. Kermit's absence inevitably throws the Muppets into a crisis, reminding them how much they need their froggy leader. We talked to the hardest-working frog in show business about his music, his diet, and his love of French New Wave cinema." 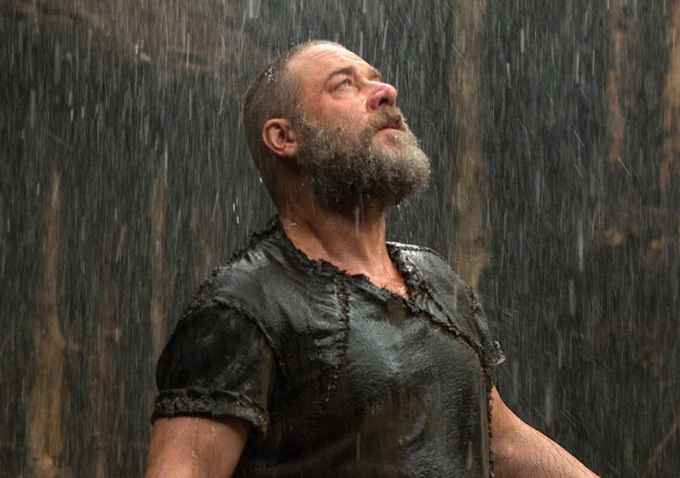 "Darren Aronofsky's 'Noah' Is a Biblical Mess, But That's What Makes It Worth Talking About": Studios have made it awfully difficult to catch a preview showing of Darren Aronofsky's Noah. The film is supposedly said to be exclusively screening for critics in New York City and Los Angeles. An early review from Eric Kohn at IndieWire explains the studio's hesitancy. "To some, the Bible presents a preeminent chronicle of the world's earliest struggles; to others, it's a mess of thinly defined mythological events littered with lush fantasy. Darren Aronofsky's "Noah" paradoxically embodies both of these perspectives. The director's murky, ill-conceived take on the world's oldest disaster story contains some of the most pristine visuals produced on a mass studio scale in some time. But it's also constantly tethered to a dull, melodramatic series of events out of whack with any traditional interpretation of the material. By turning the monolithic odyssey into a sword-and-sandals showdown with occasionally cosmic tangents, the 137-minute studio venture contains the glimmers of a truly visionary achievement flooded by half-baked ideas." 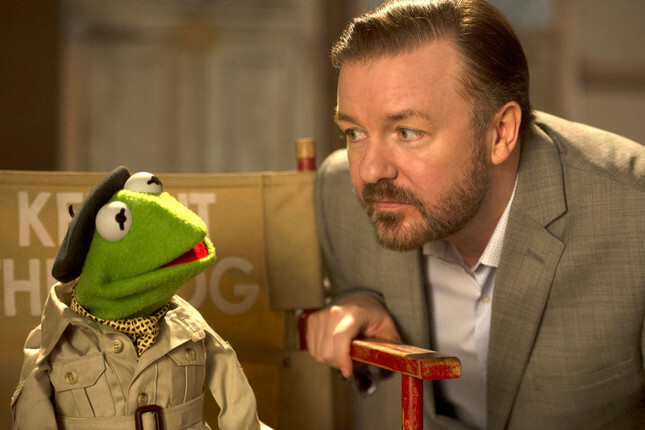 "Ricky Gervais Regrets Building That House Out of Money, but Not Working with Kermit": The very gifted Mike Ryan was recently let go from the Huffington Post, undoubtedly reaffirming my philosophy that they are incapable of make pragmatic decisions. No matter, Mr. Ryan has effectively bounced back on his feet, publishing an interview with Ricky Gervais at Vanity Fair and a review of Divergent at Time. "Shortly before this interview, Ricky Gervais had tweeted a tongue-in-cheek description of just how happy he was to be doing press interviews for his new movie, Muppets Most Wanted, on, as he called it, a “glorious California day.” Granted, it was hard to blame Gervais, who had been subjected to countless interview after interview, being asked question after question about what itmeans to be in a Muppet movie. What is his motivation? What does it allmean? Of course, it wasn’t quite as nice in New York City on that particular day, but I still had to give up my Sunday, too, to talk to Gervais. And, dammit, I was going to let him know that he’s not the only one with precious time. But, then, Gervais almost seemed strangely relieved that someone had called him out about this, which resulted in a loose and off-the-cuff conversation with topics that spanned his career—and gives us some perspective on why Gervais, a famous control freak, accepts the roles that he does." "Where Is America's Battle of Britain? ": Robert Farley at Medium wonders why Air Force themed films have trouble connecting with moviegoing audiences. "Air power should, and occasionally does, sell at the box office. But Officer and a Gentleman, Top Gun, Flight of the Intruder and Rescue Dawn all depicted Navy pilots. In Independence Day, Marine aviator Will Smith saves the world, alternating between a Marine Corps F/A-18 and an alien snubfighter. The Air Force gets Iron Eagle, in which a teenager with a tape recorder fills in for Maverick and Goose. More recently, Red Tails flopped with audiences and critics. Only Pearl Harbor stands as partial exception. Hated by critics, historians and all right-thinking people, director Michael Bay’s depiction of Army Air Force aviators challenging the Japanese grossed $197 million domestically. Why, despite the expenditure of tremendous resources on PR, does the Air Force have such trouble connecting with the movie-going public?" 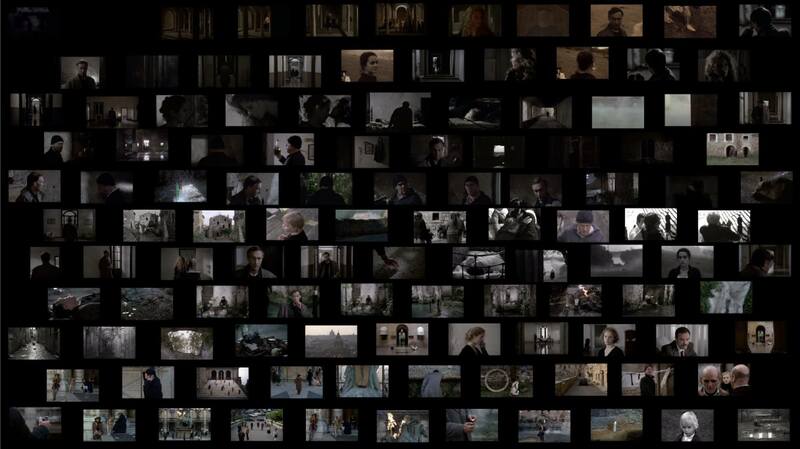 All 116 shots of Tarkovsky's NOSTALGHIA, constructed by gentlemen, scholar and RogerEbert.com contributor Kevin B. Lee. Today's video, entitled Rough and Ready: the Return of Microcinema, comes from Nelson Carvajal at Press Play.